Do You Know the Chemical Compatibility of Safety Cans? 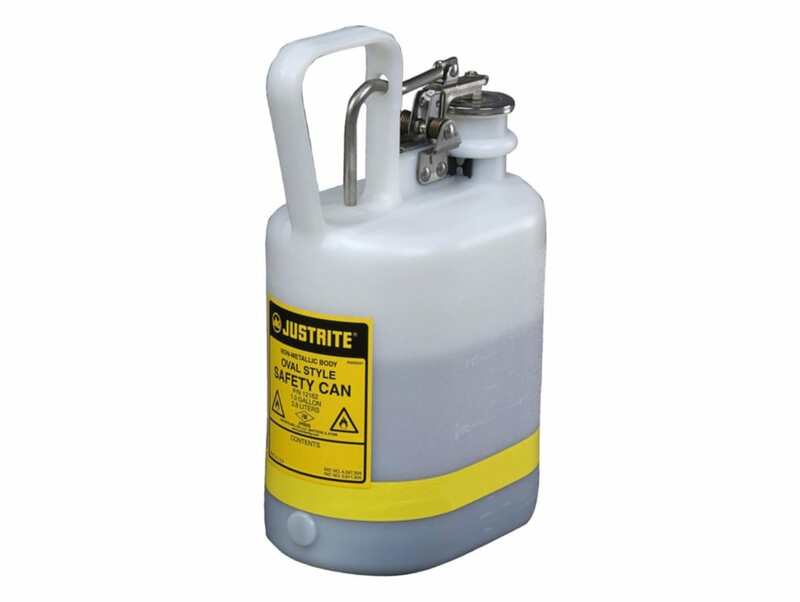 Safety cans are used to safely store and transfer chemicals. But did you know putting an incompatible chemical into a safety container will affect the integrity of the can? Eventually it could rupture causing an incident and potential injuries. Understanding your chemicals and their compatibility with safety can composition could prevent an incident in your workplace. Chemical suppliers provide a Safety Data Sheet (SDS) for every chemical. Keep a copy of the SDS close to the chemical storage area and to operating areas where people use it. Everything you need to know about safety, health and storage related to the chemical is on its SDS. OSHA sets the requirements for an SDS. There are 16 sections defined, 12 of which are mandatory for every chemical. Section 7 describes storage and handling issues related to the chemical. This section also highlights incompatibility with other chemicals. Section 9 lays out the physical and chemical properties, while section 10 describes it stability and reactivity. All this information is useful when deciding on a safety can material. Sections 12 through 15 must be consistent with the UN Globally Harmonized System of Classification and Labeling of Chemicals (GHS). But, OSHA does not enforce the content related to these sections. They include information handled by other organizations. Most safety cans are composed of three materials: stainless steel, polyethylene and galvanized steel. While stainless steel is resistant to attack from many chemicals, it is not fail-safe in all cases. Hydrochloric acid causes corrosion and stress corrosion cracking in stainless steel. Polyethylene is the most widely used plastic on earth. It resists the corrosive effects of many acids, but isn’t suitable for storing hydrocarbon products like hexane and kerosene. These have a similar chemical makeup to polyethylene and can leak through it over time. Galvanized steel is compatible with most hydrocarbon products. But, it performs poorly when exposed to acids. Justrite provides a free safety can chemical compatibility guide. It indicates what chemicals may be suitable for different safety can materials. However, the SDS of any chemical remains the primary source of storage and handling requirements. Follow the SDS in preference to any other guide. Find the chemical compatibility rating for these materials here. But, always check with the SDS for proper storage and handling instructions. Don’t let your workplace become the scene of a safety incident because of you didn’t know the chemical compatibility of a safety can. 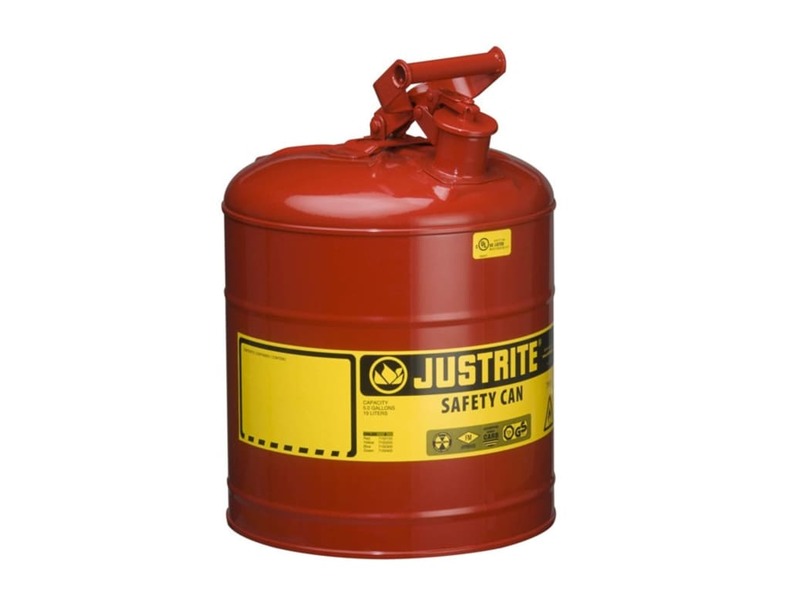 Review your chemical SDS and order the appropriate safety can from Justrite today. Browse through our available options and make your selection here. 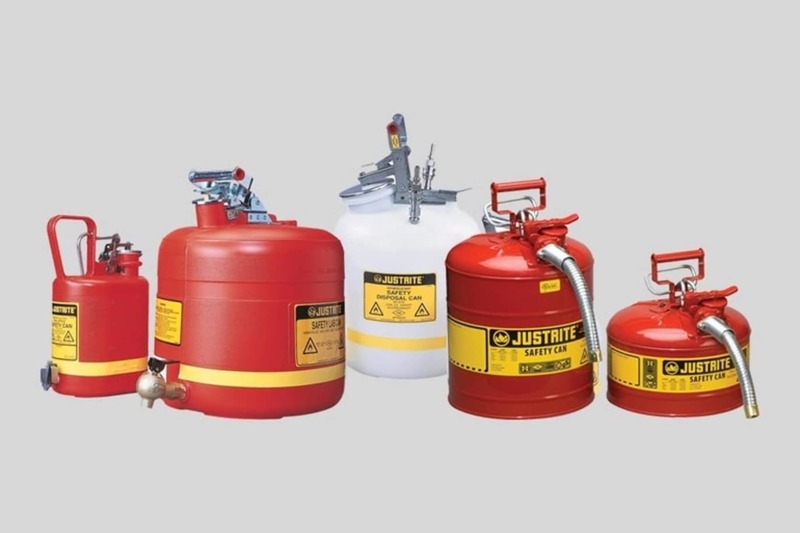 Justrite is the leading source of storage, handling and security products including fire prevention safety equipment for hazardous materials, environmental protection spill containment devices, and specialized storage products.